UBC Scientists issued a warning this week about the limitations of drugs commonly used to treat chronic pain. The Therapeutics Initiative’s latest bulletin for British Columbia’s prescribing physicians and pharmacists focuses on four drugs — gabapentin, pregabalin, duloxetine, venlafaxine — that are popular for treating such conditions as peripheral neuropathy, post-shingles pain, fibromyalgia and chronic back pain. From 2005 through 2014, the number of British Columbians receiving pregabalin increased by 17 fold, compared with a 1.8 fold increase in people receiving gabapentin. For duloxetine, which was licenced in 2008, there was a 3.6 fold increase through 2014. Use of venlafaxine, mostly for depression or anxiety, has been stable. Dr. Aaron Tejani, a Clinical Assistant Professor in the Faculty of Pharmaceutical Sciences and member of the UBC Therapeutics Initiative team, points out that rising prescriptions to treat chronic “neuropathic” pain are driven by doctors’ exaggerated impression of their effectiveness. Combined costs of gabapentin, pregabalin, and duloxetine were over $52 million in British Columbia during 2014, of which PharmaCare paid over $13 million, mostly for gabapentin. Patients or private insurers paid 97% of the cost of pregabalin and duloxetine dispensed in B.C. in 2014. 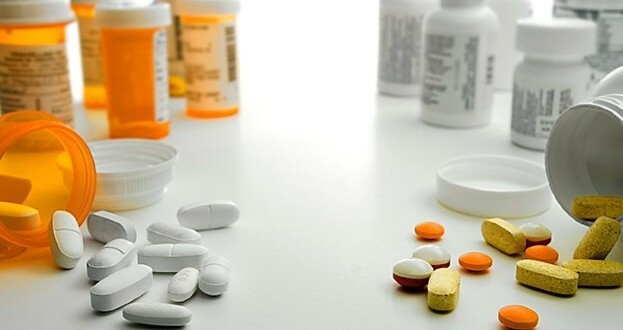 The new Therapeutics Letter points out that patients can learn within a few days whether one of these drugs offers a useful benefit, and that high doses are usually no better than lower doses. Although B.C. PharmaCare does not typically cover the non-benefit drugs pregabalin (Lyrica) or duloxetine (Cymbalta), the costs to individuals or benefit plans can range up to hundreds of dollars per month. “While government has avoided a lot of pointless costs, individual patients could also save substantially by avoiding these drugs if they are not working well, or using smaller doses,” Dr. Perry says. Therapeutics Letters, along with the TI’s other work, are funded by the B.C. Ministry of Health through a grant to UBC. The TI provides evidence-based advice about drugs but is not responsible for provincial drug policies. As someone who lives with chronic neuropathic pain, articles like this come across as not telling the whole story. Basically if we take opiates we are looked at as drug seeking or addicted, by pharmacists, sometimes family and friends. The underlying assumption is that we should use the non narcotic neuropathy treatments such as the drugs mentioned in the article. This article states that since the non-narcotic meds are only effective in 10% of the population, but paradoxically states (and is correct about) there is no extremely effective treatment. So since we shouldn’t use opiates because we “clearly” are not to be trusted with them, and the other drugs like pregablin are not effective enough to use, what do we do? I guarantee if YOU or a loved one were that one out of ten lucky person it would change your stance. it may be hard to believe but I hate taking all the meds I have to take, including the opiates. I want nothing more than to stop taking these meds, but I’ve tried things without meds and was so miserable that I seriously considered almost anything to just make the pain stop. Even for 1 minute, 30 seconds, anything, any moment of freedom I could hold onto. I was sin so much pain I barely moved to avoid the pain getting worse. I didn’t see my family or friends for months, I was exhausted all the time because pain woke me up throughput the night and disrupted sleep, which in turn made me more tense, which made my pain worse, which circled around back in the feedback cycle from hell. After so many different treatments including physical therapy, a spinal cord stimulator, biofeedback, any vitamin mentioned in a pain journal, acupuncture, etc…. Now that my pain is under control I’m married, have a good job, and no longer just feel like frayed electrical wire. With pain my “cup of stress” was constantly filled to the brim, and any little thing was enough to tip it over and lose any ability to cope. Now I have some space! It’s hard to explain chronic pain to people without it; most people remember a bad headache or when they broke a bone or tore an ACL, and don’t get how bad it could be since they were able to cope. The difference is chronic pain wears you down in ways you can’t imagine. I tried to just push through it at first and treated it the same way and it worked for a little while, but when you hit the point where you realize it’s never going away the ride is over. In short if these medicines can help 10% it’s worth it to the 10% to keep using it until you have something better. If you think the numbers don’t warrant it, just imagine yoou, or your spouse or child is part of that 10%that can be helped, would you still make the same decision? If greatly helping the quality of life for every 10 out of 100 out there is possible why stop it? Thank you for putting it so nicely. I was diagnosed with Fibromyalgia around 35 years ago.have suffered ever since,. Thanks to finally find a Dr.which cares to understand the suffering I’m on Cymbalta for the last 12 month and the difference is amazing. Like you I can function for a longer period. Since I have a lot of other health issues on top of it,I’m thankful that the Fibro is to a point under control. Thanks again.